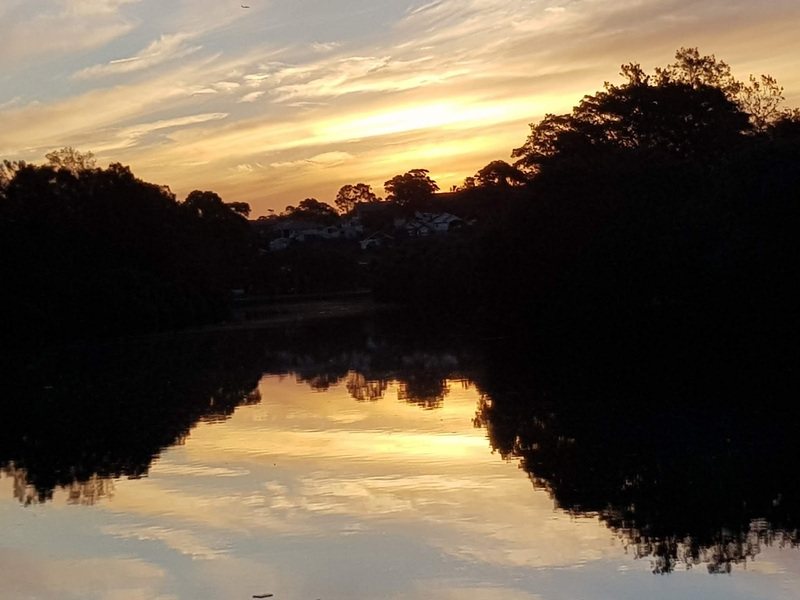 This sunset view is reflected in the Cooks River, between the inner west suburb of Marrickville and the south western suburb of Earlwood. This view is from a reserve close to Undercliffe Bridge which carries Illawarra Road over the river. A wonderfully peaceful time of day. Excellent shot. That's a perfect reflection shot, Jim! Very beautiful sky and reflective scene. My kind of sky...the kind that always makes me feel blessed to be alive! Thanks for sharing this, Jim. What a beautiful shot. You go it all---Sky, water, trees and the magnificent reflection. Beautiful, looks like it is floating in the air! Pretty colors and reflection, lovely scene and photo. Happy Friday, enjoy your day and weekend! Awesome sky shot and great reflection too! Looks like a beautiful sunset! Nice reflection! Looking very peaceful and inviting. Thanks for posting.